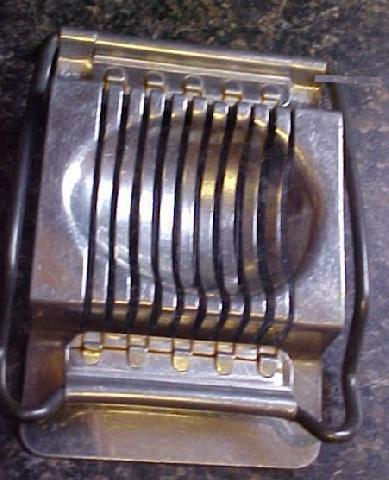 Aluminum Egg Slicer, square shape, piano wire cutter. 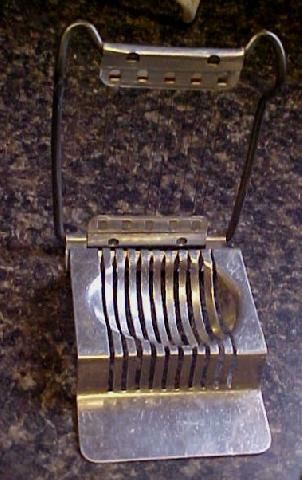 Approximately 4 1/4" x 3 1/8". Used and in good working condition.